Geula Zamist, Early Childhood Director, has a Masters of Science in Education Degree from Teachers College at Columbia University. 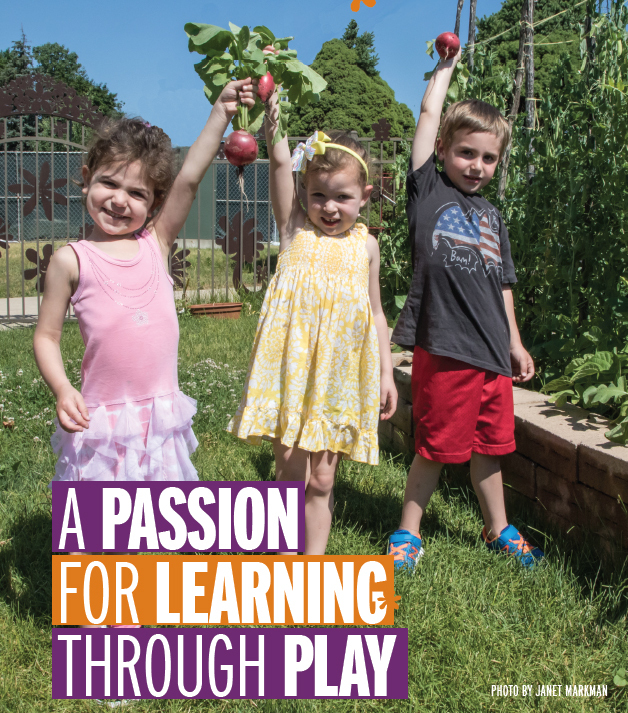 With more than 15 years in the field of early childhood administration, Geula has presented and published in numerous printed media and is passionate about the field. Our loving, loyal, and well-trained faculty is dedicated to the success of each individual child. We focus on continuous professional development and strive to be ahead of the curve when it comes to new social and learning insights and methodologies. The team meets on a regular basis to review curriculum, reflect on the classrooms, and consider the implementation of new strategies. Based upon sound knowledge and understanding children’s needs, the cucurriculum is a fully integrated and developmentally appropriate approach, which assures success in elementary school. Careful observation of students and ongoing communication with parents creates a healthy partnership in this journey. The ECC is a comfortable, beautifully maintained facility with inspired, sunlit classrooms. We strive to be a nut-free environment and make every effort to keep all our children safe and secure at all times. Children engage in a full nature curriculum. Our fenced-in garden, established in 2014, is center to our philosophy and the children’s experience. As seasonal vegetables, herbs, and flowers are planted and harvested by the children, amazement, curiosity, and appreciation for our environment are boundless. The enclosed playground is open year round, and we encourage fresh-air play daily, even when the flakes start falling. Additionally, we have an indoor gross-motor playroom where children enjoy a myriad of physical play opportunities. The program utilizes the entire synagogue including the sanctuary, media conference rooms (for sing-a-longs and parent presentations), and the social halls (for special events). The ECC program extends beyond traditional education and development. We seek to bring light and joy to our families throughout the year. Each classroom welcomes Shabbat with music and song led by Geula, the teachers, Educational Director Susan Werk, and Cantor Caplan. Every week a child is honored as their class’ Shabbat child and his or her parents, siblings, and grandparents are all welcomed to share the moment. We start each school week with a Monday morning Havdalah ritual to mark the end of Shabbat. This special multi-sensory experience incorporates song, spice, candles, “wine juice,” and blessings. The Board consists of an active group of parents, which organizes learning, social, and social action activities. Some examples include parenting workshops, parents’ night out, and community service opportunities. There are many ways to get involved. We hope you will join us. CAI welcomes all the preschool families into the congregation and accommodates our families with various synagogue.